Only a man in the devil of a hurry would wish to fly to his mountains, forgoing the lingering pleasure and mounting excitement of a slow, arduous approach under his own exertions. H.W. ‘Bill’ Tilman’s mountain travel philosophy, rooted in Africa and the Himalaya and further developed in his early sailing adventures in the southern hemisphere, was honed to perfection with his discovery of Greenland as the perfect sailing destination. His Arctic voyages in the pilot cutter Mischief proved no less challenging than his earlier southern voyages. The shorter elapsed time made it rather easier to find a crew but the absence of warm tropical passages meant that similar levels of hardship were simply compressed into a shorter timescale. 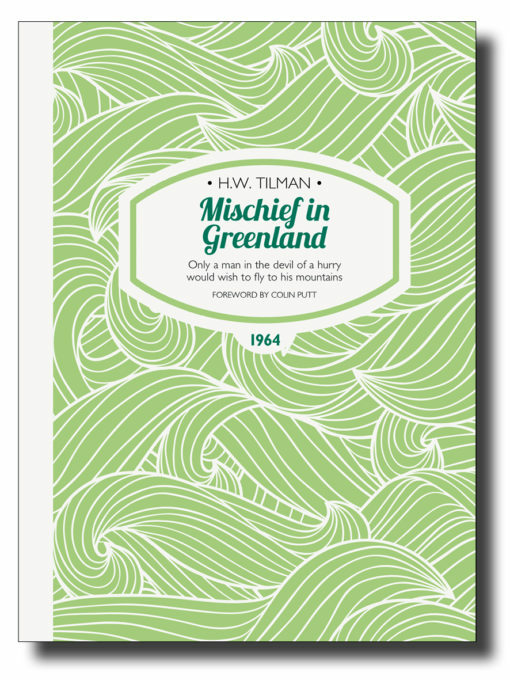 First published fifty years before political correctness became an accepted rule, Mischief in Greenland is a treasure trove of Tilman’s observational wit. In this account of his first two West Greenland voyages, he pulls no punches with regard to the occasional failings, leaving the reader to seek out and discover the numerous achievements of these voyages. The highlight of the second voyage was the identification, surveying and successful first ascent of Mount Raleigh, first observed on the eastern coast of Baffin Island by the Elizabethan explorer John Davis in 1585. For the many sailors and climbers who have since followed his lead and ventured north into those waters, Tilman provides much practical advice, whether from his own observations or those of Davis and the inimitable Captain Lecky. Tilman’s typical gift of understatement belies his position as one of the greatest explorers and adventurers of the twentieth century. Tilman sometimes failed to notice uncomfortable conditions which others saw as hardships, but in congenial company he could be the life and soul of the party and he was always concerned and caring to his friends, although a little shy with strangers. He had a horror of the commercialisation of adventure and any attempt to involve him in such would turn him away. He not only learned to sail, navigate and command late in life, but was also largely self-taught. When he did get himself into trouble at sea he was remarkably good at fighting his way out of it and, like Shackleton, never lost a crew member through any fault of his own. Born into a New Zealand pioneer family of farmers, boatbuilders and engineers, Colin Putt was a distinguished climber, sailor and engineer, described by Tilman as ‘a man of infinite resource and ability’. He died in 2016. Annie Hill has contributed an Afterword on the inspiration she has gained from Tilman's example. Annie is the author of Voyaging on a Small Income, a study in the economics of continual travel and self-sufficiency. Like Tilman, Annie has covered more than 160,000 miles under sail, including multiple voyages to high latitudes in all seasons. ISBN 978-1-909461-24-6; 216 x 156mm, 216 pages, photos, maps. Softcover with sewn binding, cover flaps and matt lamination.